The day is finally here! In the spirit of the Holidays, we are offering YOU the chance to WIN big in our 12 Days of Holiday give-aways! Amazing prizes up for grabs from all your fave brands! Included in our festive mix are Dermalogica and Environ and off course Sorbet’s Fabulous holiday gifting! 12 Days of mind-glowing gift sets that’ll make your festive season pop! 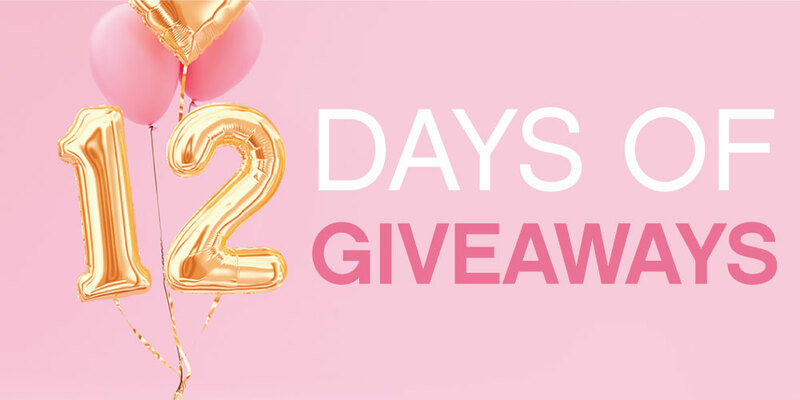 From 3-14 December 2018 we will be posting a new prize every day on Facebook @SorbetGroup to enter! You have a chance to enter each day but simply answering that day’s question on our Facebook post & you could be a winner! Winners are announced between 9am & 12pm each following day. Competition is open to all residents of the Republic of South Africa except the employees and family members of Sorbet Group as well as respective advertising and promotional agencies, media and PR agencies of the Sorbet Group. By entering the competition, all participants accept and agree to abide by these rules, terms and conditions. The Competition commences on 03 December 2018 and closes on 14 December 2018. Entrants to complete an online questionnaire and follow instructions on each social media post. This competition is only valid to Sorbet Society Members. Winners will be selected randomly. The decision is final, no correspondence in this regard will be entered into. Prizes are not transferable and may not be exchanged for cash. Prizes will be delivered directly to the winners. The validity period of treatment related prizes cannot be extended. If the offer is not taken up by the expiry date, the offer will be forfeited and Sorbet shall have no obligation to refund any monies in lieu of this un-utilised prize nor to extend the offer. Winners will be notified on social media, telephonically and/or via email. If the winner cannot be contacted for a period of five days after the draw, the prize will be forfeited to a new winner that will be chosen randomly. The winner may be required to take part in publicity and participation in the competition is conditional upon agreement to take part in such publicity. Participants will not be entitled to any payment or other remuneration for any such publicity or otherwise. All and any materials, including publicity materials, will be the sole property of Sorbet Group. Sorbet Group reserves the right to terminate, temporarily suspend or amend this promotion in the event of any unforeseen circumstances outside their reasonable control or technical or other difficulties that might compromise its integrity. Neither Sorbet Group nor their respective advertising, media and PR agencies, nor their trading partners shall be liable in any way whatsoever for any loss, damage or costs, howsoever arising, suffered by an entrant of this prize draw and/or participant in the prize offered.